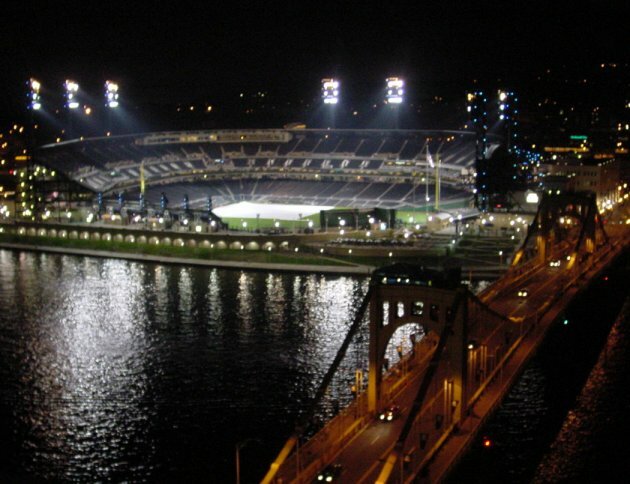 Webmaster, author and certified ballpark addict, Joe Mock has been pursuing his love of baseball stadiums since an early age. He relates that he always made his parents drive out of their way when on car trips so he could take photos of the parks near their travels. As an adult, Joe drags his family along on many "vacations" that invariable trace a path from one ballpark to another to another. 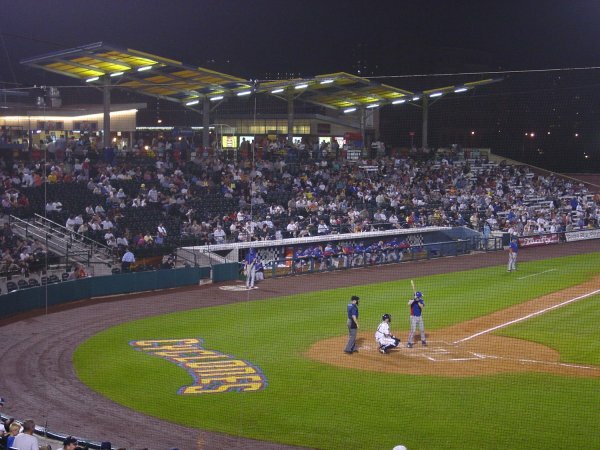 Heading into the 2002 season, he has attended games at all 30 of the current Major League parks, visited every spring-training stadium, and scrutinized over 100 ballparks in the Minors. He has also visited and photographed the sites of over three dozen now-vacated - and typically demolished - pro parks. 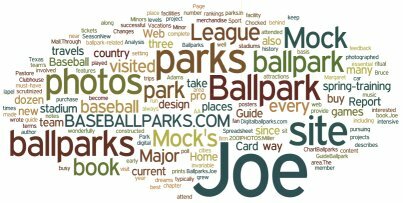 In 1998, Joe started the BASEBALLPARKS.COM web site, which grew beyond his wildest dreams - both in terms of content and the number of times it has been visited. 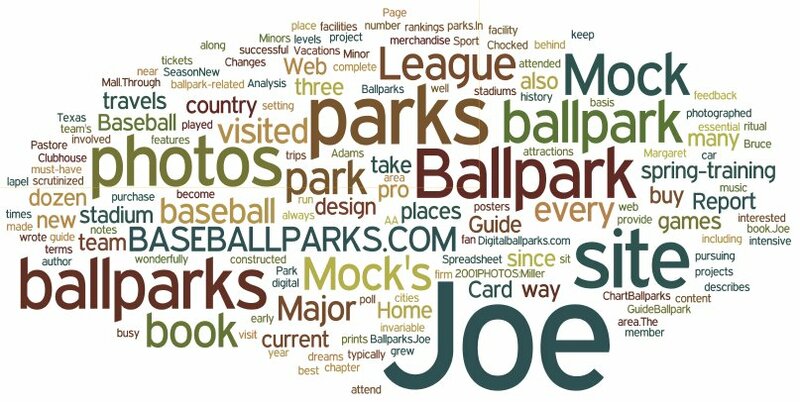 In addition to countless photos, this site includes rankings of parks, a message board on ballpark-related topics, contests, numerous essays, a ballpark poll, book reviews, feedback from visitors (including an area where they provide the details for new ballparks that they would like to see constructed) and a listing of the parks of all levels that Joe feels every fan should visit. Two new projects kept Joe busy in 2001. First, he wrote a book on the current ballparks in the Majors. Joe Mock's Ballpark Guide features a chapter on each of the 30 parks, as well as 112 color photos of those facilities and each team's spring-training stadium. 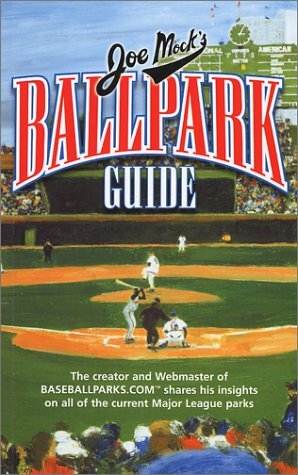 The book also describes the setting and history of each Major League park, the best places to sit, how to buy tickets and the other baseball-related attractions in the area. The other project involved the creation of an online "mall" to sell prints, posters, photos, music and merchandise - all, naturally, about baseball. That site is the Grand Slam Mall. Through it all, Joe's passion remains visiting baseball parks. In a typical year, he will attend games at about three dozen different pro ballparks. 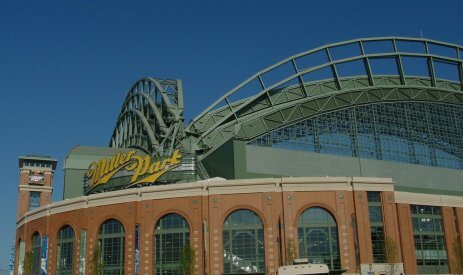 And during every visit to a park, his ritual is the same: buy a program and keep score; purchase a lapel pin of that team or park; take lots of digital photos of the place; and complete the custom "BASEBALLPARKS.COM Ballpark Report Card" on that facility. The results of that Report Card form the basis of what Joe has to say about the park on his Web site and in his book. Joe lives with his wife and sons in Round Rock, Texas, home of the most successful AA Minor League team in the country in 2000 and 2001. 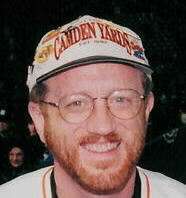 He is a member of SABR and the Network of Ballpark Collectors. Bruce Adams and Margaret Engle, authors of Fodor's Baseball Vacations: "For anyone interested in the wonderfully diverse places where our greatest game is played, BASEBALLPARKS.COM is the essential Web site. It has become an invaluable resource for us in our travels across America. What a thrill it was to run into Joe Mock at Brooklyn's fabulous KeySpan Park and be able to compare notes with a master ballpark guy." Eric and Wendy Pastore, webmasters of Digitalballparks.com, on Joe Mock's Ballpark Guide book: "An inexpensive, fully intensive guide to ballparks around the country and the cities that they're in. A must-have for all ballpark seekers! Chocked full of glossy photos." Earl Santee, Senior Principal of HOK Sport, the architectural firm behind the design of eight of the Major League parks built since 1990: "Joe Mock's site is on my bookmarked list. We're passionate about the design of ballparks, and it's clear from this site that many people feel the same way."